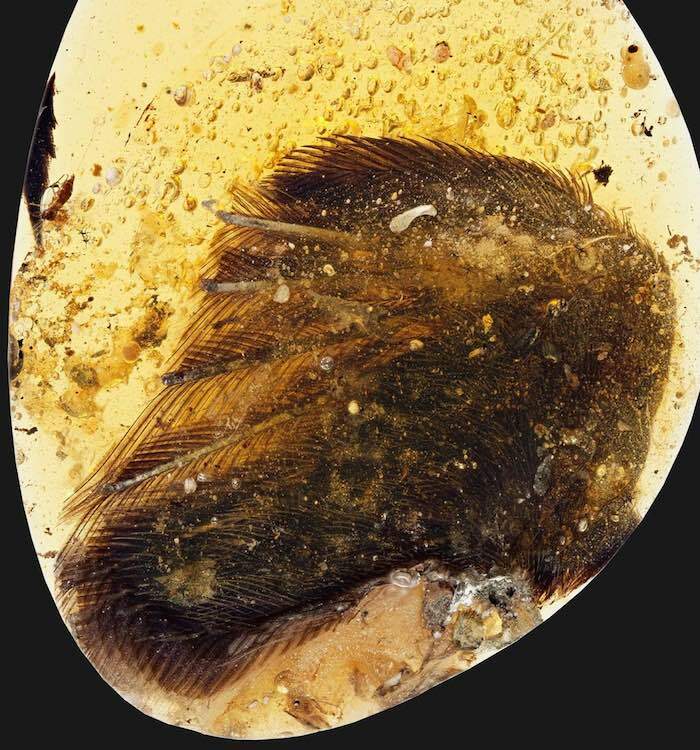 Two tiny wings entombed in amber reveal that plumage (the layering, patterning, coloring, and arrangement of feathers) seen in birds today already existed in at least some of their predecessors nearly a hundred million years ago. Skin, muscle, claws, and feather shafts are visible, along with the remains of rows of feathers similar in arrangement and microstructure to modern birds. The nearly 100 million year old wing shows a structure that is very similar to modern birds. The piece in this photo, and others samples, were bought at an amber market in Myitkyina, the capital of Kachin state in northern Myanmar. The region is politically unstable and most of the amber is sold to Chinese consumers for jewelry and decorative carvings. Read the related posts for more on the wonderful discoveries saved in amber of hundreds of millions of years. We get to read about these amazing discoveries so often it is easy to lose appreciation for how amazing each one is. This photo shows a wind that was used by a dinosaur almost 100 million years ago. It would seem sensible to think cancer should be more prevalent in species with a huge number of cells, and thus more cells to become cancerous. But cancer risk doesn’t increase in this way. This interesting, open source paper, sheds some light on what is behind this. Whales have 1000-fold more cells than humans and mice have 1000-fold fewer; however, cancer risk across species does not increase with the number of somatic cells and the lifespan of the organism. This observation is known as Peto’s paradox. How much would evolution have to change the parameters of somatic evolution in order to equalize the cancer risk between species that differ by orders of magnitude in size? Analysis of previously published models of colorectal cancer suggests that a two- to three-fold decrease in the mutation rate or stem cell division rate is enough to reduce a whale’s cancer risk to that of a human. Similarly, the addition of one to two required tumour-suppressor gene mutations would also be sufficient. We surveyed mammalian genomes and did not find a positive correlation of tumour-suppressor genes with increasing body mass and longevity. However, we found evidence of the amplification of TP53 in elephants, MAL in horses and FBXO31 in microbats, which might explain Peto’s paradox in those species. Exploring parameters that evolution may have fine-tuned in large, long-lived organisms will help guide future experiments to reveal the underlying biology responsible for Peto’s paradox and guide cancer prevention in humans. Elephants in Kenya by John Hunter. See more photos from my trip to Kenya. In another way it would make sense that large animals would have hugely increased risks of cancer. As they evolved, extremely high cancer rates would be a much bigger problem for them. Therefore it wouldn’t be surprising to find they have evolved a way of reducing cancer risks. 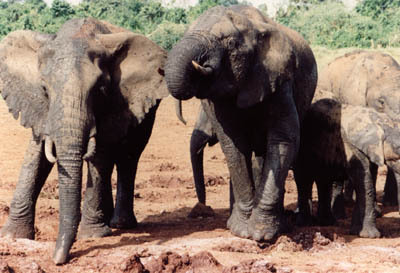 Despite these limitations, we found genes that have been dramatically amplified in specific mammalian genomes, the most interesting of which is the discovery of 12 TP53 copies in the genome of the African elephant. We subsequently cloned those genes and identified 19 distinct copies of TP53 in African elephants and 15–20 in Asian elephants . Another potential lead for solving Peto’s paradox is MAL, which is found to have eight copies in the horse genome and two in microbat. This could be an example of convergent evolution where a large animal (horse) and a small, long-lived animal (microbat) both evolved extra copies of the same gene to overcome their increased risk of cancer. Further analysis and experimentation would need to be performed to determine the function of these copies and whether or not they provide enhanced suppression of carcinogenesis. The researchers have found an interesting potential explanation for how that has been accomplished. My response to: There are other species of ants that do replace the queen, so why did some species not do this? Basically the method they evolved copes well with losing the queen. Out of various ways of dealing with having a dominant Queen some may lead to replacement if she dies. There are lots of examples of method is very effective at creating lots of successful offspring but happens to be less than ideal in some situations. 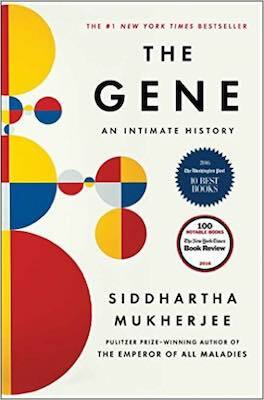 Natural selection is pretty amazing and awesome at creating effective genes but we certainly can look at the results sometimes and see improvements that would be useful. Likely if losing the queen was very common a good way of dealing with that would be found (or that species would be disadvantaged and at risk). If the queen happens to evolve to being very reliable coping with her death becomes less important. If they produce lots of useful offspring but have a less than ideal method of coping with their home colony losing her it is entirely sensible to imagine that species could flourish. I would imagine species with queens that had shorter lifespans, that invested more in the home colony, that were less effective at setting up new colonies… would be more likely to have better queen replacement strategies/results. Citing an overabundance in the use of antibiotics by the agriculture and aquaculture industries that poses a threat to public health, economics professor Aidan Hollis has proposed a solution in the form of user fees on the non-human use of antibiotics. In a newly released paper published (closed science, sadly, so no link provide), Hollis and co-author Ziana Ahmed state that in the United States 80% of the antibiotics in the country are consumed in agriculture and aquaculture for the purpose of increasing food production. This flood of antibiotics released into the environment – sprayed on fruit trees and fed to the likes of livestock, poultry and salmon, among other uses – has led bacteria to evolve, Hollis writes. Mounting evidence cited in the journal shows resistant pathogens are emerging in the wake of this veritable flood of antibiotics – resulting in an increase in bacteria that is immune to available treatments. If the problem is left unchecked, this will create a health crisis on a global scale, Hollis says. Hollis suggest that the predicament could be greatly alleviated by imposing a user fee on the non-human uses of antibiotics, similar to the way in which logging companies pay stumpage fees and oil companies pay royalties. Bacteria that can effectively resist antibiotics will thrive, Hollis adds, reproducing rapidly and spreading in various ways. “It’s about increasing the efficiency of food so you can reduce the amount of grain you feed the cattle,” says Hollis. “It’s about giving antibiotics to baby chicks because it reduces the likelihood that they’re going to get sick when you cram them together in unsanitary conditions. “These methods are obviously profitable to the farmers, but that doesn’t mean it’s generating a huge benefit. In fact, the profitability is usually quite marginal. While banning the use of antibiotics in food production is challenging, establishing a user fee makes good sense, according to Hollis. Such a practice would deter the low-value use of antibiotics, with higher costs encouraging farmers to improve their animal management methods and to adopt better substitutes for the drugs, such as vaccinations. Hollis also suggests that an international treaty could ideally be imposed. “Resistant bacteria do not respect national borders,” he says. He adds that such a treaty might have a fair chance of attaining international compliance, as governments tend to be motivated by revenue collection. Hollis notes that in the USA, a move has been made to control the non-human use of antibiotics, with the FDA recently seeking voluntary limits on the use of antibiotics for animal growth promotion on farms.